Last week I had the distinct honor of participating in a Civil Rights Learning Journey presented by the Washington Regional Association of Grantmakers and Leadership Greater Washington. I spent four days traveling through the Deep South with a group of 25 philanthropy, nonprofit and business leaders from the Washington, DC region, starting in Memphis and driving through the heart of Mississippi and Alabama. We toured several stellar museums that brought to life the story of our nation’s struggle for racial equality—a struggle that continues to this day. We visited the locations of many significant events in the Civil Rights Movement of the 1960s. We met people who were active in the movement and shared with us their deeply personal stories. The history that I learned on this trip was not taught in my all-white schools in suburban Philadelphia, Pennsylvania. The stories that I heard on this trip were not talked about in the all-white neighborhoods where I grew up. As an adult I’ve certainly taken my own initiative to read and learn about the Civil Rights Movement. But after this journey I realized just how superficial my understanding really was. Last week I was able to dig a little deeper. Before the trip I knew about the kidnapping and murder of civil rights activists James Chaney, Andrew Goodman and Michael Schwerner in Neshoba County, Mississippi in June 1964, which garnered national attention (only because two of the victims were white). I knew that they were abducted after visiting the burned remnants of the Mt. Zion United Methodist Church near Philadelphia, Mississippi. But until last week I did not know that the Ku Klux Klan had their eyes on the church for some time because they had heard that Schwerner was trying to establish a Freedom School there. I also did not know that earlier in the evening, before the Klan burned down the church, they were lurking outside the church while a group of about 10 church members were having a meeting. As part of our journey we visited the rebuilt Mt. Zion United Methodist Church. We met two women whose family members were at the church that fateful evening in June 1964. One of the women shared with us, with a pained expression, that after the meeting ended and people got in their cars, the Klan ran her parents off the road and brutally beat them, leaving them on the side of the road not knowing if they were alive or dead. Her mother (a tiny woman) somehow managed to pull her father back into the car. They were afraid to seek medical care so they just went home. One of her father’s legs was so badly beaten that all the nerves in the leg were destroyed. Her father refused to have his leg amputated, and so for the rest of his life he dragged along his “dead” leg in a full brace. I did not know that story. 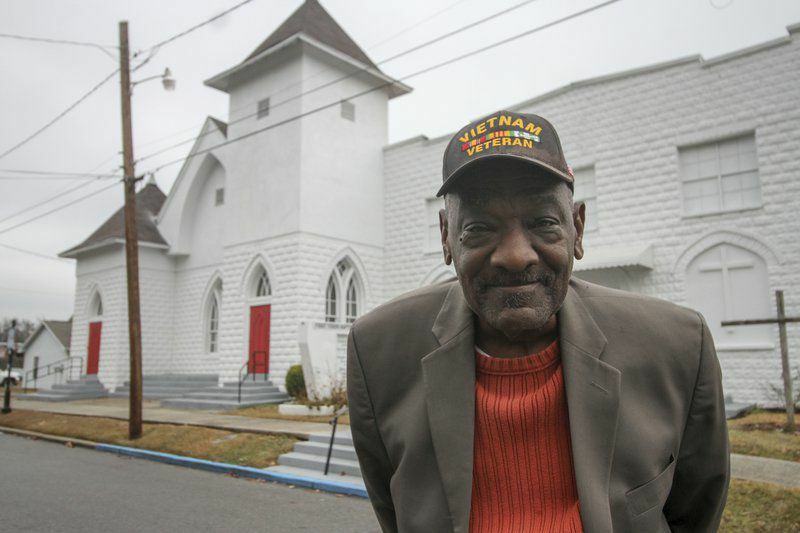 I did not know that James Chaney’s family kept the location of his gravesite a secret for several years because they were afraid it would be destroyed. Last week we visited Chaney’s gravesite, which is where I learned that his headstone is supported in the back by thick metal girders because it has been pushed over so many times. I did not know that civil rights activist Roscoe Jones, who was one of our guides for our entire trip, was originally supposed to join Chaney, Goodman and Schwerner on the visit to Mt. Zion. But at the last minute he was called away to another assignment. Roscoe told us, in a somewhat matter-of-fact way, that if he had joined the trio as originally planned, he most certainly would have been murdered as well. “But I guess it wasn’t my time,” he stated. Instead, he lives to this day to tell the story of the Civil Rights Movement. What an honor it was for me to meet Roscoe and learn from him last week. Before last week I knew about the assassination of civil rights leader Medgar Evers on June 12, 1963, outside his home in Jackson, Mississippi. We visited the Evers family home, which has been maintained and furnished much as it was in 1963. Until last week I did not know that when Medgar Evers built the house, he asked the builders to place the bedroom windows at an extra high level, and he made sure that his children slept on mattresses on the floor (which we saw as we toured the home), to lessen the risk of them being shot. He also asked the builders to place the front door on the side of the house off the carport, rather than in the front as would be the more common practice. He instructed his children to always exit the car on the passenger side so that they would be protected between the car and the side of the house as they entered their home. I realized last week that around the same time that the Evers were building their family home in Jackson, my parents were building a home for their young family in suburban Philadelphia. They built a ranch-style house quite similar in size and layout to the Evers house. But I can guarantee you that my parents did not have to think about putting the windows in my bedroom at an extra-high level or moving our front door to the side of the house off the carport, and I never had to sleep on a mattress on the floor. By the end of our journey, I felt the collective weight on my mind and soul of the thousands of men and women, boys and girls, who risked their lives—and sometimes gave their lives—to fight for the rights of African Americans to vote, to fight for an end to racial segregation and discrimination, to fight for racial equity and racial justice. We dishonor their memory when we don’t vote. We dishonor their memory when we don’t speak up and speak out about racial injustice and racist words and actions. We dishonor their memory when we ignore the racial inequities that persist in our country today and do nothing about it. Last week’s experience has steeled my resolve to continue to be active in advancing racial equity in both my personal and professional life, to the best of my ability. Any risks that I may face in these efforts will pale in comparison to what civil rights leaders and foot soldiers faced in the 1960s. I was humbled to have learned more about their heroic efforts last week, and grateful to have had the opportunity to dig below the surface and deepen my understanding of the Civil Rights Movement and our country’s continued fight for racial equity and justice. I am committed to continuing to learn more about this important part of our history and use it to inform and motivate my work moving forward.